← Himalayan Sounds Family Art Lab This Saturday! Running a museum takes a whole team of professionals whose different skills help make the Rubin Museum of Art one of the premiere places to visit. To get to know us a little more, and to explore different careers in the arts, each month we will be asking a Museum staffer/intern to answer six questions about their position at the Museum, their favorite artworks or exhibitions on display in the museum and other personal attributes. RMA: Tell us a little bit about yourself and what you do at the Rubin Museum. 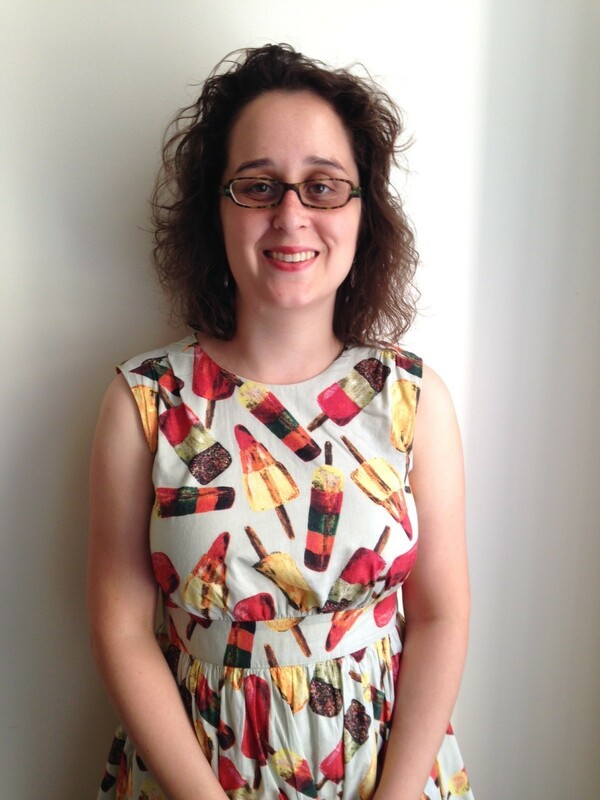 I am the new Assistant Manager of Adult and Academic Programs. Working closely with Laura Lombard, the Head of Adult and Academic Programs, my first project is reviewing applications for the fall 2014 class of Apprentice Museum Educators. In addition to working with university partnerships, professional trainings, and program development, I will also be teaching in the galleries. RMA: Where are you originally from and how did you end up at the Rubin? My hometown is Louisville, Kentucky and it’s been a long and winding road to the Rubin! I attended undergraduate university at Washington University in St. Louis. During my junior year abroad at University College London, I discovered big museums for the first time in the form of the British Museum. It was love at first sight. After my B.A., was complete, I packed my bags for New York in pursuit of American museums and attended New York University to receive an M.A. in Museum Studies. I was a guide at the Rubin Museum (in a very different incarnation of the program) in 2005-2006. Then I joined the staff of The Metropolitan Museum of Art, where I held several internships and professional positions, most recently the Associate Education Programs Coordinator of Public and Exhibition Programs. In this role I worked with free public lecture programs for adults. In my free time, I was a graduate student at Columbia University, earning a second M.A. in Art History and developing my gallery teaching practice at the Met. As the Rubin and I enter our second decade in New York, it seemed like to perfect time to come back. RMA: What are some recent, upcoming or current projects you are working on at the Museum? Getting my feet thoroughly wet! I am excited to embark on my new position duties. Currently I am participating in the July program Teen Art Labs: Connected City. RMA: Out of all the current exhibitions at the Rubin Museum, which one is your favorite? Not in one exhibition, but the stars of the collection- Wrathful deities! These are represented on almost every floor and especially in the exhibition Bodies in Balance: The Art of Tibetan Medicine. Wrathful protectors are the flaming-eyebrowed, zombie- riding, intestine lasso-wielding crew that are my all-time Rubin favorites, due to a lifelong interest in mythology and folktales. They have an engaging energy and are imbued with an infectious vitality. In my gallery teaching, I am interested in the original context of objects and how they continue to resonate with contemporary life. 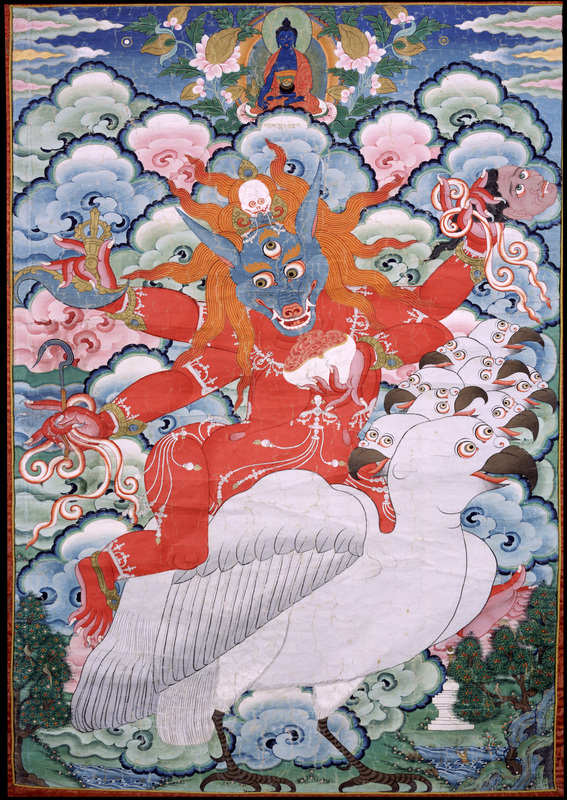 The wrathful deities are so distinctive to the Himalayas and to the Rubin’s collection; I am drawn to their paradox of ferocity and compassion. RMA: What’s the most interesting or unusual thing you’ve experienced working at the Rubin Museum? When I was revisiting the galleries during my interview process, I was pleasantly surprised that a fellow visitor spontaneously came up to me and talked to me about how the Rubin was a special place to them. I hope to contribute to that wonderful sense of conviviality. RMA: What advice would you give to someone who wanted to follow the same career path? 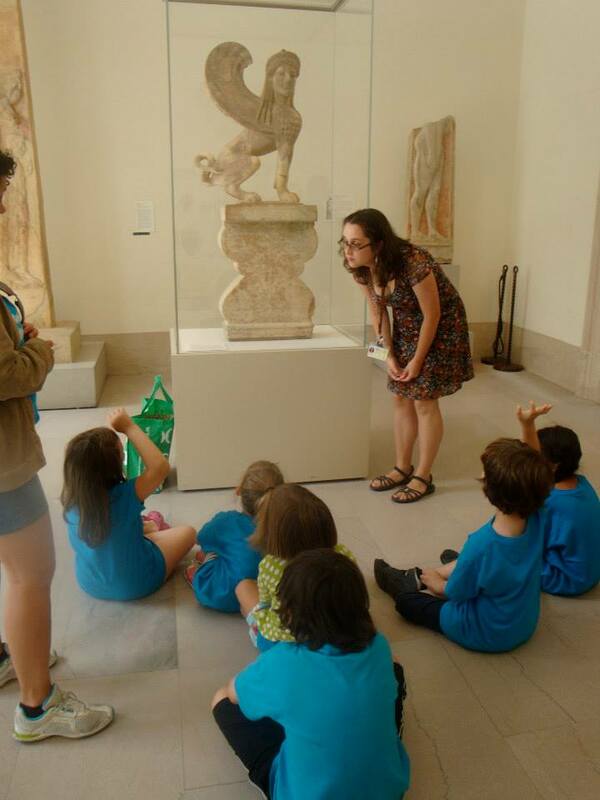 As a field, Museum Education is expanding and changing rapidly-a great place to begin is to intern and/or volunteer in a variety of institutions and gain teaching experience. RMA: What do you do when you’re not at the Rubin Museum? In my home borough of Brooklyn, you are likely to find me on a run in Prospect Park or at a flea market, and I am a big fan of New York museums and sister institutions such as libraries, zoos, botanic gardens and historic homes in the Hudson Valley. I always have a fiction book in process and love going to author talks. RMA: If you could travel anywhere in the Himalayas where would you go and why? It is a part of the world I am still exploring via armchair, but I love Geoff Dyer’s Jeff in Venice, Death in Varanasi novel so it would be fascinating to visit Varanasi. The city is significant as an ancient site of continuous inhabitation, in addition to its deep importance as a holy site for both Hinduism and Buddhism. And it is a river city, much like Louisville, St. Louis, London and New York, so I will have at least one point of reference. This entry was posted in Adult Classes, Museums, Staff Connections, Teens, University Audiences. Bookmark the permalink. Book Art at Family Art Labs! Mala-making and handmade beads - Materials for the Arts on Celebrate Mother’s Day at Family Sundays! Drew Rampersaud on Family Day: Festival of Lights!